Saw that photo and my stomach did a flip! Glad to see it wasn't current. Congrats! best best wishes to you and your family. 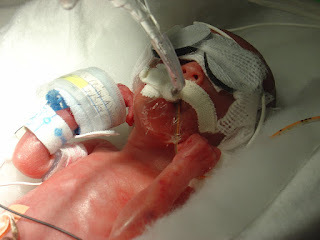 Two years out from birthing a micropreemie, and I can't imagine being brave enough to get pregnant again. Yay you! Wishing you a long, peaceful pregnancy. Soo long in fact that you complain about being overdue and waddling! Whew! I saw the photo and my heart sunk.. Glad it was an older one. I've been reading your blog for over 5 years. My first daughter was stillborn due to severe preeclampsia in 2007 at 25wks, 4 days and whenever I read your blog & see your girls; I imagine that is what she would have been like. In 2010 I was blessed with a little boy who will be 2 years old next month. 8 months ago I had a severe abruption and lost another little girl at 24wks, 2 days. Your story gives me hope, and I am truly happy that you are inching along just fine. Best wishes for a healthy delivery. Congratulaions Billie and family on your pregnancy and may it long continue being very boring! Congrats! We just stumbled across your blog--we have 3 1/2 year twins that were 24 weekers too. Best wishes! this is seriously so effing awesome. both how incredible your girls are and how great this pregnancy is. Seriously. Wow...stop reading for a few months and look what you miss! 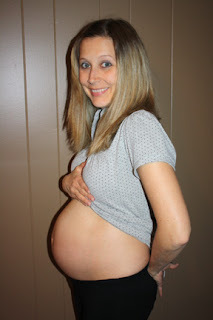 I'm so excited for your whole family and you literally look SO beautiful in your belly pics. I'll be thinking about your family the next few months and for a healthy rest of pregnancy and the full-term, healthy baby you so deserve. Congrats congrats congrats!! Hi! I stumbled upon your blog and wanted to say that your kids and story are absolutely BEAUTIFUL! I also wanted to tell you that there is a woman (or someone)is using your babies premie pictures as her own. I have NO idea why she would do this, but she is even using your babies weight and measurements. I thought her story was too tragic to be true, but when I found your picture, I'm convinced she is fake. Please email me so we can put a stop to this!